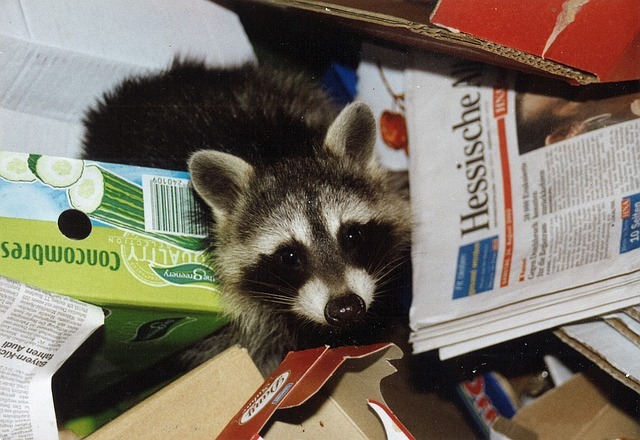 We receive more calls for raccoon removal than any other wild animal. Raccoons usually mate in January or February. Litters or kits are usually born in April or May. Raccoon litters range in size from one to nine, although the average is around four. By June, most young raccoons already accompany their mother on food searches and begin to learn survival skills. and use your home as a latrine. The feces should be treated as hazardous waste and removed. Some insurance companies cover raccoon damage and cleanup, some do not. Deductables usually apply, Some insurance companies also have coverage limits.